Serve as a legislative watch dog. Educate the Legislature that LEOFF I pension funds are in trust with the state and have been in trust since the inception of the LEOFF I law. Network with all LEOFF I members and their beneficiaries. 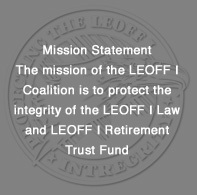 Educate the Legislature that contributions by LEOFF I members, their employer, the state, or gains derived from those contributions are for the sole benefit of the members and beneficiaries of the LEOFF I Retirement System. Educate the Legislature that the LEOFF I Retirement System is a contract between LEOFF I members and the employers. 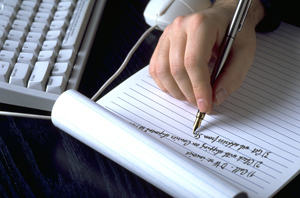 Keep LEOFF I members informed on legislative issues.